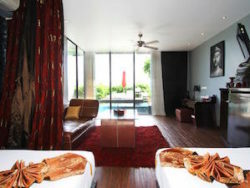 Looking for a guest friendly hotel in Phuket? Phuket is one of Thailand’s top nightlife destinations, with no shortage of beer bars, nightclubs, go-gos and more. As such, many hotels in Phuket have guest friendly policies and will happily let you bring a guest back to your room. Unfortunately, some Phuket hotels charge joiner fees for extra guests, often without warning. This means you could be hit with an extra bill upon checking out, or an unpleasant cost when you try to bring your guest back to your room. To prevent this from happening to you, I’ve put together a complete list of all of the guest friendly hotels in Phuket. The hotels below all do not charge joiner fees unless noted, meaning you can bring back guests without any problems or surprise costs. The list of guest friendly hotels below is split into three sections: one for Patong Beach, one for Kata Beach, and one for Karon Beach. Most of the guest friendly hotels in Phuket are located near Patong Beach, which is home to most of the island’s nightlife. To jump to a specific area, use the quick links below. You can also view a list of the 10 highest rated guest friendly hotels in Phuket to find hotels with the highest user review scores. All of the hotels listed below can be booked via Agoda. Click the “Check Current Room Rates and Availability” link next to any hotel name to view the lowest prices and book online. Enjoy your trip to Phuket! Phuket is a large island with several main areas, ranging from the commercially oriented Phuket Town to party hub Patong and family-friendly beaches like Kata, Karon and Nai Harn. If you’re visiting Phuket for the nightlife, you’ll want to stay in Patong. This is the island’s nightlife capital, and it’s where you’ll find almost all of the best bars, clubs, go-gos and entertainment options. While there are bars in Karon, Kata and other beaches, the selection is less than 10% of what you’ll find in and around Patong. Simply put, Patong Beach is the place to stay if you’re visiting Phuket and want to get the most of the nightlife. With this said, it’s also possible to stay on other beaches and travel to and Patong for nightlife. Beaches like Kata and Karon are 15-20 minutes away from Patong by tuk-tuk, meaning you can get into Patong quickly at a cost of 200-500 baht, depending on how far away you are from Patong Beach. Ultimately, it’s up to you. Patong itself is the busiest, most crowded part of Phuket but offers by far the best experience if you want to enjoy the nightlife. 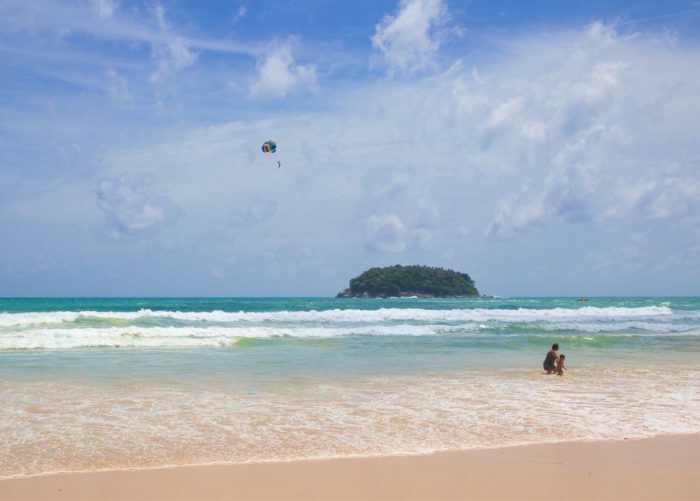 Kata, Karon and other beaches are all slightly quieter and more relaxing, but will require you to use tuk-tuks or rent a scooter if you want to travel to Patong for a fun night out. For more information on Phuket’s main beaches and tourist area, check out our guide to where to stay in Phuket. 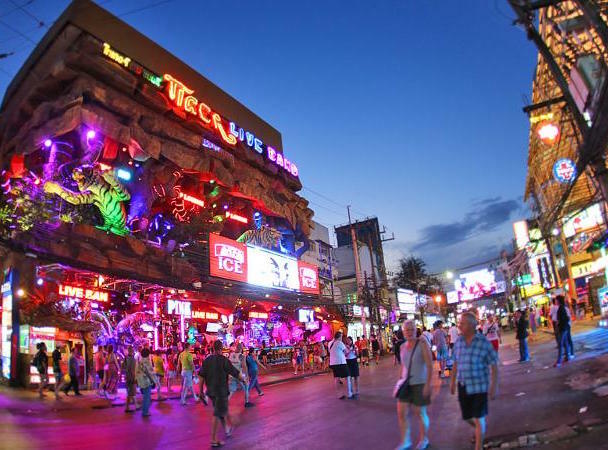 Nightlife in Patong is centered around Bangla Road, which is where you’ll find most of Patong’s go-go bars, beer bars and nightclubs. While Bangla is the epicenter of nightlife in Phuket, there are bars and go-gos for several blocks in the surrounding area. As a general rule, any hotel within 5-10 minutes walk of Bangla Road will put you in a great location for enjoying Patong’s nightlife. 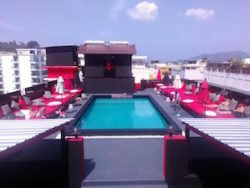 Despite being Phuket’s nightlife hotspot, Patong doesn’t have very many luxury hotels. Instead, most of the guest friendly hotels in and around Patong are mid-priced, with a lot of three and four star options to choose from. We’ve listed all of the guest friendly accommodation options in Patong below, starting with the area’s four and five star guest friendly hotels before covering mid-priced hotels and resorts, local guesthouses, budget hotels and other accommodation. All of our guest friendly hotel lists start with the top-rated hotels in the area with the highest user review scores, then feature lower-ranked hotels further down the list. We recommend booking hotels rated 7.5+ out of 10 by guests to avoid disappointment. All hotels listed below, no matter what their user rating might be, are confirmed to be totally guest friendly with no extra joiner fees or hidden costs. To read guest reviews and view pricing for each hotel, click the “Check Pricing on Agoda.com” link beside each hotel. Patong only has a few luxury hotels, most of which are located a little outside the city itself. If you’re looking for a luxurious place to stay, you’ll probably need to call a tuk-tuk to get you into Patong from your hotel. This shouldn’t cost more than 200-300 baht each way. The Royal Paradise Hotel & Spa One of the best affordable four star guest friendly hotels in Patong. The Royal Paradise Hotel and Spa is less than 10 minutes walk from Bangla Road, meaning you're always close to the action. Despite its central location, the hotel is quiet and peaceful after dark, making it easy to get a full night's sleep. Rooms here are modern, clean and comfortable, although the hotel isn't totally brand new. Overall, a nice experience. The biggest strength of this hotel is the facilities -- the pool is gigantic, with plenty of chairs to lounge and relax on during the day. 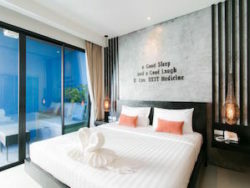 Located right beside Patong Beach, The Bliss Hotel South Beach Patong is a mid-priced four star hotel that's definitely worth considering if you want a comfortable, convenient place to stya. The Bliss Hotel is 100% guest friendly, making it easy to bring guests back to your room after dark. The hotel is fairly modern (built in the 90s and renovated recently) with a large outdoor swimming pool, clean and spacious rooms, comfortable furniture and everything else you'd expect from a four star hotel. Duangjitt Resort and Spa is located a little outside the center of Patong, making it a great guest friendly hotel option if you want to be a quick tuk-tuk ride away from the action but also far enough away to avoid the noise and crowds. This hotel is 100% guest friendly, with no joiner fees for guests. The rooms are spacious and private, with a resort-style layout that gives you plenty of space to relax and stretch out in. As well as the regular resort rooms, there are plenty of bungalows and suites to choose from if you need more space. Another option located outside Patong, Price Edouard Apartments and Resort is a 10-15 minute tuk-tuk ride away from the nightlife areas of Patong. As such, it's a good place to stay if you want some peace and quiet during your stay in Phuket but still have the option to get to nightlife quickly and cheaply. This resort has a boutique feel, with comfortable rooms and a high level of service. 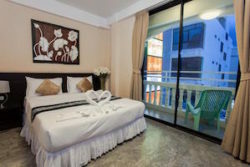 The rooms overlook Patong and have beautiful views of the beach and city, making it a romantic spot that's perfect for staying with a friend or partner. The best luxury guest friendly accommodation close to Patong. IndoChine Resort & Villas is located about 10 minutes north of Patong by tuk-tuk, giving you all of the privacy and peace of a remote resort while still being close to the action. 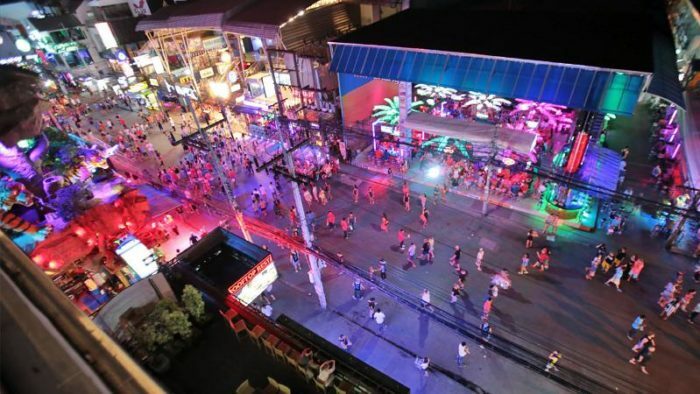 From the resort, it's fast, cheap and easy to get into Patong to enjoy the nightlife. 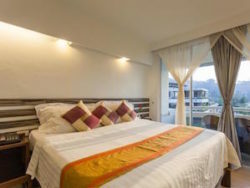 Patong has a great selection of mid-priced guest friendly hotels. If you’re looking for a three or four star hotel, you’re spoilt for choice. Our list starts with the area’s top-rated hotels by real guest review scores, then features lower-ranked accommodation options further down the list. We recommend booking one of the hotels with “Recommended” before its description for the best experience. Summer Breeze Hotel Recommended! A great option in Patong, Summer Breeze Guesthouse has one of the best locations in Phuket for nightlife access. Recommended! 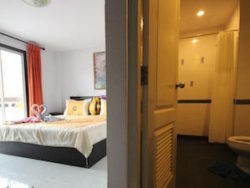 Rated 8.2 out of 10 by guests, Absolute Guesthouse is one of the highest rated mid-priced guest friendly hotels in Patong. The House Patong Hotel Recommended! 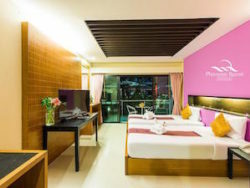 The House Patong Hotel is a small, extremely modern hotel located 5-10 minutes (depending on your walking speed) from the nightlife on Bangla Road. The hotel is surrounded by restaurants and cafes, making it a convenient place to be during the day. K Hotel Recommended! 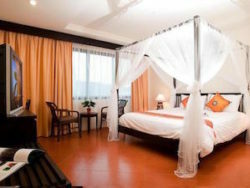 K Hotel is one of the best mid-priced guest friendly hotels in Patong. This hotel is located less than five minutes' walk from Bangla Road and Patong's main nightlife area, but still offers a peaceful, quiet atmosphere that makes it a great place to stay. The Yorkshire Hotel Recommended! The Yorkshire Hotel is one of the best located guest friendly hotels in Patong, less than two minutes' walk from Soi Bangla and Patong's best nightlife areas. Beyond its location, it's a good hotel overall, with a nice swimming pool and a well equipped fitness center for guests. Rooms here are large, modern and comfortable, with nice furniture and soft mattresses. The beds are huge, the rooms sunny (but not too sunny) and the location perfect, making this one of the best mid-priced hotels in Patong if you want to enjoy the nightlife, shopping and dining. P.S. Hill Resort P.S. Hill Resort is a quiet, peaceful and comfortable three star resort that has spacious garden and pool view rooms. In fact, it's a really nice place to stay. There's a big swimming pool, a relaxing garden environment and plenty of privacy. The only problem, however, is that it's a 10 minute drive outside Patong, meaning you'll need to rely on tuk-tuks to get around or rent your own scooter. 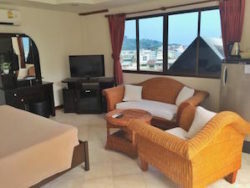 Overall, a good option for long stays or if you want to be out of the city, but not ideal if you want to be in the center of the action in Patong. Saladee Gallery Residence Recommended! 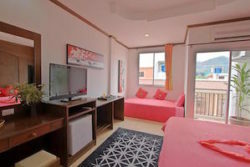 Saladee Gallery Residence is one of the best guest friendly serviced apartments in Patong. It's located less than five minutes away from Jungceylon and Bangla Road, meaning you're extremely close to shopping and nightlife. There are several good restaurants, cafes and small bars around the complex, meaning you're always close to something to eat or drink. Units here are modern and clean, with nice decorating (think plenty of artwork and stylish furniture) and comfortable queen beds. Easily one of the best mid-priced places to stay in Patong, especially if you go for one of the larger Jacuzzi Rooms or suites. Patong Hemingway's Hotel Recommended! 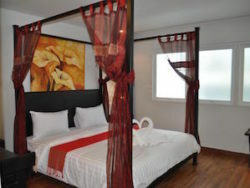 Another highly rated mid-priced hotel, Hemingway's is popular with visitors to Patong looking to enjoy the nightlife. It's located less than two minutes away from Bangla Road and about a minute from Jungceylon, meaning it's close to Patong's best nightlife and shopping. 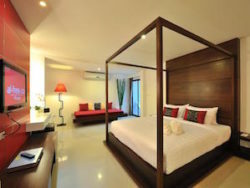 Rooms at Patong Hemingway's are modern and clean, with large beds and plenty of natural light. Despite being in a nightlife area, the inside of the hotel is quiet and noise isn't an issue. The only real downside of this hotel is that the elevators and some of the common areas feel a little dated, although this isn't a big deal overall. 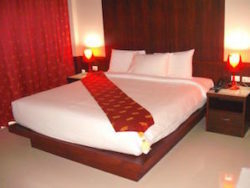 A modern, clean guest friendly hotel located less than five minutes' walk from Soi Bangla. One of the better options in Patong if you're looking for a clean, convenient and comfortable place to stay. Rooms here are spacious and clean, although the Budget Double Rooms are a little cramped. We recommend going for the Deluxe Room if you choose to stay here. 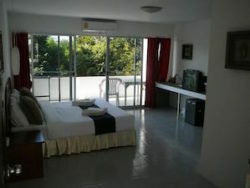 Overall, the great location close to nightlife and shopping make this one of the better mid-priced options in Patong. Baipho Lifestyle Hotel Recommended! Another highly rated small hotel, Baipho Lifestyle Hotel is less than two minutes away from Patong's most popular nightlife on Bangla Road. Rooms here aren't brand new but still feel modern and comfortable, meaning you can enjoy a great location and comfortable bed at a reasonable price. Since this is a small, centrally located hotel, there's no swimming pool or resort-style amenities. However, there is a small restaurant and bar for guests to relax in. Acca Patong One of the top-rated mid-priced hotels in Patong. Acca Patong is another conveniently located option on Soi Sansabai, less than two minutes from Bangla and Jungceylon. If you want to be right near the center of Patong's nightlife, this is the place to stay. Aspery Hotel A great location, modern rooms and great maintenance all make Aspery Hotel worth considering as a guest friendly hotel option. This hotel is located about 10 minutes' walk from the nightlife at and around Bangla, as well as less than five minutes from Patong Beach. 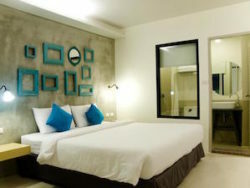 Rooms here are spacious, clean and modern, with large beds and nice soft mattresses. The hotel rooms don't have much of a view (you're looking out onto the soi the hotel is on) but do offer a good level of privacy. Add good pricing into the equation and this is a great place to stay. 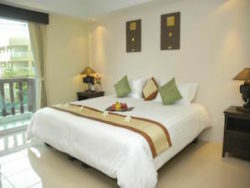 Safari Beach Hotel Safari Beach Hotel is a good mid-priced hotel that's very close to Bangla Road. The rooms here are simple and minimalist, but tastefully decorated and very comfortable to stay in. 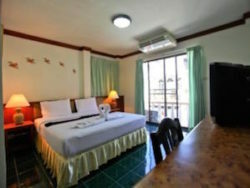 Overall, a great affordable option if you want to be a short walk away from Patong's nightlife. The Gallery Hotel A clean, modern and comfortable three star hotel located within walking distance of Bangla Road and Jungceylon Mall. From the hotel, it's a five minute walk to the nightlife area and Patong Beach. 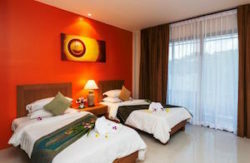 Rooms here are clean, modern and well maintained, although the hotel can be a little noisy due to its central location. My Hotel Phuket Less than five minutes from Soi Bangla and Jungceylon Mall, this is a well located three star hotel near the center of Patong. Rooms here are clean and comfortable, the noise level is low, the staff are friendly and the pricing very fair. 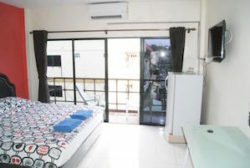 Overall, a good place to stay if you want to be close to the center of Patong and within walking distance of nightlife without paying a fortune. 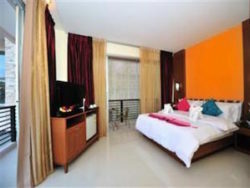 Arya Boutique Room A mid-priced, comfortable three star hotel located in the heart of Patong. A short walk from restaurants, bars and cafes, Arya Boutique Resort is only 5-10 minutes from Soi Bangla on foot, putting you close to the center of Phuket's nightlife while helping you avoid most of the noise. Alfresco Phuket Hotel Alfresco Hotel is an affordable four star hotel located about 15 minutes' walk (or less than five minutes in a tuk-tuk) from the center of Patong's nightlife. With a rooftop pool, modern rooms (all of which have been renovated recently) and comfortable beds, this is a great place to stay if you're willing to make your own way into the nightlife and shopping areas of Patong. A great option if you're renting a scooter while in Phuket. Boomerang Inn A great option in the center of Patong, Boomerang Inn is 10 minutes away from Bangla Road and Jungceylon Shopping Mall. It's also less than five minutes from Patong Beach, meaning you have easy beach access from the hotel. Rooms here are comfortable, clean and good for a pleasant stay. The staff are friendly and the hotel is surrounded by great restaurants and cafes, making it easy to enjoy your time here. 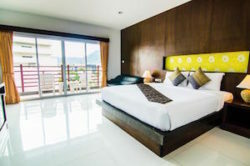 Amata Patong Amata Patong has large, clean rooms, a convenient location less than 10 minutes from the nightlife, and a great swimming pool, making it a good option if you want to stay in Patong. This hotel is less than five minutes' walk from Bangla and Jungceylon, meaning you're always close to Patong's best bars, clubs and shopping areas. There are several good restaurants and cafes around the hotel, making it easy to pop out to eat at any time. A clean, comfortable three star hotel in Patong. Thai Siam Hotel is located just out of walking distance from Soi Bangla and Jungceylon, meaning you'll need to take a tuk-tuk into the center of Patong if you want to enjoy the nightlife. Other than the location, this is a great hotel. The rooms are clean and have large, comfortable beds. The staff are friendly and the service is good, plus the very affordable pricing makes this a good value for money option. Overall, recommended if you have your own transportation or don't mind using tuk-tuks to get to and from the Patong nightlife. Green Harbor Hotel & Service Apartment (Serviced Apartment) A good option if you want a small kitchen, Green Harbor Hotel Serviced Apartment offers apartment-style rooms with plenty of space. The rooms here are modern and clean, with large beds and new bathrooms. 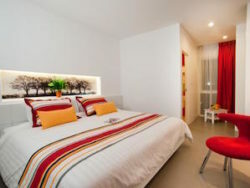 Aspsara Residence Apsara Residence is located on Soi Sansabai, less than five minutes' walk from the center of Bangla Road and Patong's nightlife area. If you want to be close to the action (but not right in the middle of it), this is a great option. Rooms here are clean and comfortable, with queen sized beds and a fair amount of space. If you plan on spending a lot of time at the hotel, it's worth paying a little extra for the Deluxe Double Room with Balcony, which offers a little more space. Seeka Boutique Resort Seeka Boutique Resort is a nice small resort located about 15 minutes from the center of Patong Beach. Since it's a reasonable distance from the hotel to shopping and nightlife, you'll want your own transportation if you're staying here. Rooms at Seeka are spacious and modern, with even the smallest rooms offering 36 square meters of space. The facilities include a large swimming pool and on-site spa, making this a relaxing place to stay during the day. If you're looking for peace and quiet and don't mind driving yourself into Patong (or relying on tuk-tuks), Seeka is worth the very fair nightly price. Coconut Village Resort Another mid-range resort hotel in Patong, Coconut Village Resort has spacious and comfortable but simple rooms less than 10 minutes from the center of town by tuk-tuk. Note that this hotel is out of walking distance from the center of Patong, meaning you'll need to get around by tuk-tuk or with a rental scooter. The rooms here are comfortable and spacious, with some even featuring jacuzzis. There's also a big swimming pool and peaceful garden environment surrounding the rooms, making this a relaxing place to stay. 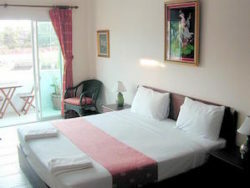 @ White Patong Hotel Less than one minute from Bangla Road and Jungceylon Mall. This small hotel has a great location for accessing the nightlife, making it great if you want somewhere central and convenient. The rooms are comfortable but not amazing -- something that's made up for by the location and pricing. 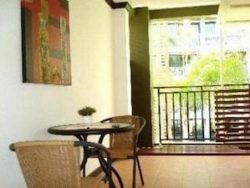 Expat Hotel Expat Hotel is a great affordable hotel in the Patong area. It's located just off Soi Sansabai, meaning you're less than five minutes' walk from Bangla Road, and has a great swimming pool that's perfect for relaxing beside during the day. Rooms here are a little on the small side and feel somewhat dated compared to other hotels, although the overall experience is good. There's also an on-site spa with affordable Thai massage, a bar with pool table, and other good facilities. A fun place to stay if you want to be close to the action but still have relaxing facilities available. 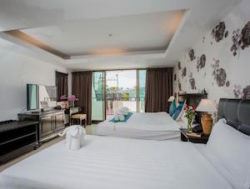 Another good value for money option, Bed Time Patong has spacious rooms that are clean and comfortable, a rooftop pool and a good location less than 10 minutes away from Patong Beach. From the hotel, it's about a 5-10 minute tuk-tuk ride to get to Patong's nightlife. This hotel is out of walking distance from the nightlife, meaning you'll need to use tuk-tuks or rent a scooter to get around. The Royal Palm Beachfront Hotel The Royal Palm Beachfront Hotel is located right on Patong Beach, with direct access to the sand and water. This hotel is a little older and feels slightly dated, although it's still a pleasant place to stay. The rooms are spacious (although the cheaper ones don't have windows) and the location next to the beach is very tough to beat. Patong Premier Resort Another good mid-priced resort, Patong Premier Resort has a nice swimming pool and relaxing, villa-like feel to it. Rooms range from well priced Superior Rooms to more luxurious Deluxe Poolside rooms, which offer direct access to the swimming pool and a little extra space. 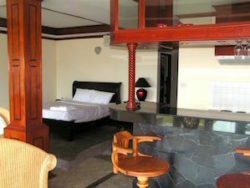 All rooms are nicely decorated with modern furniture and huge, comfortable beds. From a location perspective, Patong Premier Resort is good but not fantastic. It's about 10 minutes away from Bangla Road and Jungceylon by foot, and approximately five minutes from Patong Beach. Overall, a good option that's not too far from the nightlife, but not in the center of the action either. Phuvaree Resort Phuvaree Resort is a four star resort located about 15 minutes from the centre of Patong by tuk-tuk or scooter. The resort itself is beautiful, with a huge swimming pool and modern, luxurious rooms. However, the location means you'll need your own transportation if you want to get to and from Patong without relying on tuk-tuks. Patong Swiss Hotel Beach Front Patong Swiss Hotel Beach Front is, as the name suggests, located right on Patong Beach. From the hotel, it's a 10-15 minute walk along the beach on Thawewong Road to get to Bangla Road and Patong's main nightlife area. Location aside, Patong Swiss Hotel Beach Front isn't amazing. The rooms are a little run down and the hotel itself is starting to show its age, making it good if you want to be right on the beach but far from ideal if you're looking for a comfortable place to stay. There’s a good selection of budget guest friendly accommodation in Patong, although the rooms available are usually on the small side. If you don’t mind somewhat basic furniture and smaller-than-average room sizes, the hotels listed below are worth considering. As always, we’ve started with the top rated hotels and covered lower-rated hotels further down our list. We recommend booking one of the hotels with “Recommended” before its description for the best experience. Jinny Guesthouse Recommended! Jinny Guesthouse is a small, affordable guesthouse located about 10 minutes outside the center of Patong by tuk-tuk or scooter. Baan Orchid Guesthouse Patong Beach Recommended! Another good budget option, Orchid Guesthouse is a 10 minute walk away from Bangla, Patong's main bar and nightlife area. Recommended! Located on Soi Baanzan, Presley Guesthouse is a five to 10 minute walk away from Bangla Road, making it one of the best budget accommodation options in Patong if you want to be close to the nightlife. The Chambre Patong Recommended! Another highly rated budget guest friendly accommodation option, The Chambre Patong is located less than five minutes away from Bangla Road on Soi Sansabai. 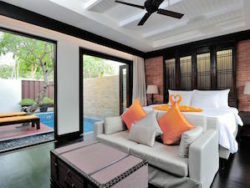 Rooms here are modern and stylish, with large queen beds and balconies overlooking the soi. The mattresses are soft, the rooms clean and the overall experience a good one. Overall, this is a good place to stay and a slight step up from Presley Guesthouse in terms of quality, although at a very slightly higher price. Blue Sky Residence Located outside Patong on Soi Tham Di, Blue Sky Residence is a good low cost accommodation option if you have your own transportation. This hotel has a small pool and good selection of rooms, ranging from the usual Standard and Superior rooms to a three-bedroom suite. The hotel is clean and comfortable, although the location means you'll want to rent a scooter to get around if you decide to stay here. 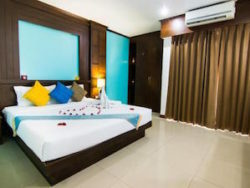 Patong Rose Guesthouse Another conveniently located budget option, Patong Rose Guesthouse is a two minute walk away from the beach and approximately five minutes from Bangla Road. Another budget option just outside Patong, Little Moon Residence is about 10 minutes away from Patong's nightlife by tuk-tuk or scooter. Because of the location, you'll want your own transportation if you stay here. The hotel itself is nice, with spacious rooms that have been renovated recently. All of the rooms have decently sized balconies, giving you plenty of sunlight and fresh air, as well as a nice place to relax during the day. Tiger Inn Hotel If you want to be right in the middle of the action, Tiger Inn Hotel is the place you'll want to stay. This hotel is located about five minutes away from Bangla Road and close to some of Patong's top beer bars, giving you easy access to the entire area's nightlife. Rooms here range from cheap singles to surprisingly luxurious suites, all of which are priced well. There's also a nice buffet breakfast and good downstairs bar with friendly staff. Orange Hotel Another good small budget hotel in Patong, Orange Hotel is a 10-15 minute walk away from the nightlife on Bangla Road. There are several beer bars and restaurants around the hotel, meaning you can step right out the door and have a variety of dining and entertainment options available. 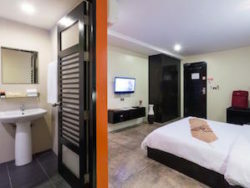 La De Bua Hotel Located less than 10 minutes away from Bangla Road, La De Bua Hotel is a convenient, cheap and comfortable budget hotel that's ideally located for enjoying Patong's nightlife. Forest Patong Hotel is a small budget hotel located about 10 minutes out of Patong by tuk-tuk or scooter. Because of the somewhat remote location, this hotel is really only an option if you have your own transportation. Rooms here are large, nicely decorated and very fairly priced. Overall, a good choice if you're visiting Phuket for a longer stay and want to be a little further away from the nightlife. Bangkok Residence Geographically weird name aside, Bangkok Residence is a nice budget hotel that's located close to Patong's nightlife area. From the hotel, it's a five minute walk to Bangla Road and less than two minutes to cross the street and get to Jungceylon Mall. Green Mansion Green Mansion is a budget serviced apartment located just off Thawewong Road, less than one minute from Patong Beach. Rooms are simple but more than comfortable enough for a pleasant stay. A great option if you want to be close to the beach. It's a five to 10 minute walk from the hotel to Bangla Road and Patong's other nightlife areas, meaning this hotel is close to the action but far enough away that you'll avoid most of the noise. A good budget accommodation option in Patong, Lamai Hotel is close to Bangla Road and Jungceylon Mall. It's also a very short walk away from a good selection of restaurants, cafes and beer bars. All in all, from a location perspective, this hotel is tough to beat. Rooms here are on the older side but are still clean and comfortable, with plenty of space for you to stretch out. The beds are large, soft and provide plenty of comfort -- a nice surprise in a budget hotel in Thailand. Despite the hotel's age, the cleaning is good -- there's no dust, dirt or mold to worry about. 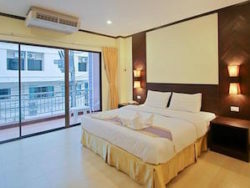 Lamai Inn Hotel Not to be confused with the Lamai Hotel, which is nearby, the Lamai Inn Hotel is a decent budget hotel that offers spacious rooms just one block away from Patong Beach. This hotel is also a short five to 10 minute walk away from the nightlife on Bangla Road. While the rooms here aren't spectacular, they're clean and offer more than enough comfort for a pleasant stay. 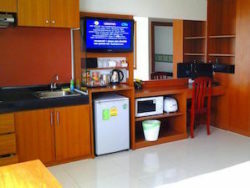 Overall, a good option if you want to be within walking distance of the beach and nightlife without spending too much. Located less than 10 minutes' walk from Bangla Road, Baan Nitra Guesthouse is a good ultra-budget guesthouse in Patong that offers comfortable beds and spacious, sunny rooms. Each room has a balcony, making it a good place to relax during the day. From a location perspective, it's easy to get to and from Bangla and the other major nightlife hotspots in Patong from Baan Nitra. Prices are also good, making this a convenient place to stay if you're on a tight budget and want to be close to the nightlife. Asialoop Guesthouse Asialoop Guesthouse has a decent location 10-15 minutes outside of Patong's center and a nice rooftop pool. However, rude staff and poor maintenance mean this hotel isn't worth bothering with -- expect poorly maintained rooms and dirty public areas if you do decide to stay here. Vech Guesthouse Vech Guesthouse has a convenient location within 10 minutes walk of Bangla and Jungceylon, however the rooms are nothing special and could definitely use some refurbishment. This guesthouse is also quite noisy late at night, making it difficult to get to sleep before midnight. Kata is more of a family beach than Patong, meaning there are fewer guest friendly hotels and more upscale resorts. There’s also much less nightlife in the Kata area — expect beer bars and restaurants instead of the bustling clubs and go-go bars of Patong. However, there are still plenty of hotels in this part of Phuket that have no problem with you bringing back overnight guests. Overall, Kata is a good place to stay if you want a quieter experience and don’t mind using the local tuk-tuks to get into Patong for a night out. Kata is also the best beach in Phuket for luxury guest friendly hotels, with several good options to choose from. There are several luxury guest friendly hotels in the Kata area, ranging from affordable luxury hotels to one of the most luxurious resorts in Phuket. Our list includes three options, all of which are confirmed to be 100% guest friendly. The Shore at Katathani is hands down one of the most luxurious resorts in Phuket. Each suite contains its own private pool overlooking the beach, with spectacular views and everything you'd expect from a five-star, ultra luxury resort. If you're looking for the ultimate place to stay and don't mind spending a fair amount for it, this resort is worth considering. From the resort, it takes less than a minute to walk directly onto the beach. There's also a great selection of facilities to keep you occupied, from several pools to a well equipped gym. 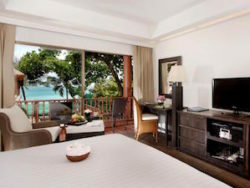 The Boathouse Phuket is a lovely four star hotel located right on Kata Beach, with direct access to the beachfront. Rooms here range comfortable sea view rooms to a luxurious penthouse suite. Malisa Villa Suites Hotel Located less than five minutes from Kata Beach, Malisa Villa Suites Hotel is a luxurious resort with a selection of spacious rooms and private pool villas. Units here are gigantic, ranging from 120 to 150 square meters in size and featuring everything from jacuzzis to private pools. One of the best hotels in Phuket if you're looking for private, secluded luxury. Kata has a good selection of mid-priced guest friendly hotels, most of which are close to the beach. Choosing a mid-priced hotel in Kata generally gets you a quieter, more relaxing experience than in nearby Patong, making this area a good choice if you want to be further away from the hustle and bustle of the bar scene but still have the option of bringing someone back with you after a night out. All of the options in our list below are personally confirmed and verified to be 100% guest friendly with no joiner fees or hidden costs. Recommended! 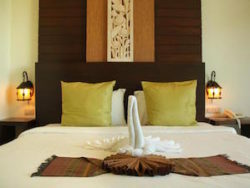 Located up the hill from Kata Beach, Boomerang Village Resort has spacious rooms with great views over the beach. Add a garden environment and great swimming pool into the equation and this is one of the best resorts in the Kata area. Recommended! Another luxurious mid-priced resort, Kata Lucky Villa and Pool Access has a great selection of pool villas and luxurious suites located less than five minutes from Kata Beach by scooter. Like most resorts around the Kata area, you'll need to rent a scooter to get around if you're staying here. Alternatively, you can always use tuk-tuks to get to and from the beach or along the coast to Patong for a night out. Located less than two minutes from the beach, Katanoi Resort offers spacious apartment-style rooms and small villas at reasonable prices. This resort is slightly on the older side but still feels clean, modern and comfortable, with large rooms that get plenty of daytime sun. Another mid-priced hotel, Capannina Inn has large, sunny rooms that offer plenty of comfort. This hotel is fairly new and has a well maintained feel, with spacious rooms that feature large beds and modern bathrooms. In terms of facilities, Capannina Inn has a rooftop swimming pool, a bar and on-site dining. There's also a free shuttle to take guests from the hotel to Kata Beach, making this a good place to stay if you want to make the most of the sea, sand and sun. Located less than five minutes from Kata Beach, Honey Resort is a modern three star resort that offers stylish, comfortable rooms and high quality facilities. Rooms here are tastefully decorated and have huge beds with soft, high quality mattresses. The bathrooms are modern, the facilities good (the pool especially) and the location close to Kata Beach tough to beat. All in all, a great place to stay if you're visiting Phuket on a moderate budget. Kata Blue Sea Resort Located inside the Beach Center Project, Kata Blue Sea Resort is a three star resort that's a short walk away from Kata Beach. Rooms are modern, prices are fair and the location offers a good mix of convenience near the beach and Kata's cafes and dining options. Recommended! 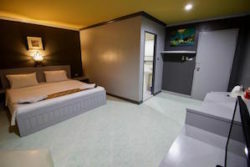 Easily the top-rated budget hotel in the Kata area, Casa E Mare is a small, inexpensive hotel with modern rooms and friendly staff. The rooms here are simple but comfortable, with large queen beds and basic decorations. Each room comes with a small balcony overlooking the road, plus a simple but adequate bathroom. In short, this hotel doesn't offer many luxuries but does the simple, essential stuff very well at a good price and with friendly service. Another good budget hotel close to Kata Beach, Southern Fried Rice Guesthouse has clean, modern and simple rooms that provide everything you need at a good price. The rooms here are definitely on the simple side, with little more than a double bed, desk, fridge and TV in most units. Still, there's more than enough to keep you comfortable and the hotel offers incredible value for money. It's also impeccably clean, which is always important in a budget place to stay. 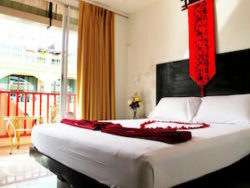 Cheap and simple, The BluEco Hotel is a good budget accommodation option on Kata Road. 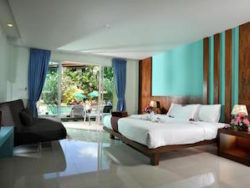 Rooms here are clean, modern and comfortable, while the small swimming pool is a great place to cool off during the day. From the hotel, it's a 10 minute walk to Kata Beach. 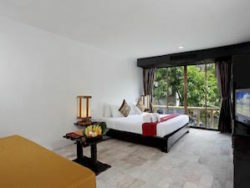 All in all, a good budget option if you prefer to stay at Kata Beach and want to avoid the hustle and bustle of Patong. This two-and-a-half star hotel in Kata is a short walk from the beach and offers good value for money. Rooms at Outdoor Inn are clean and more than adequate, although the hotel is definitely somewhat on the basic side. With small balconies, big beds and comfortable mattresses, the rooms at Outdoor Inn are great value for money. While there's no pool here, the hotel is a short walk away from Kata Beach, meaning you're never far away from the water. Be My Guest Boutique Be My Guest Boutique is a small hotel on Kata Road, less than five minutes away from the beach. Rooms are clean and comfortable, although somewhat on the simple and minimalist side. A good place to stay if you want to be close to Kata Beach without spending too much. Manohra Cozy Resort Manohra Cozy Resort is a nice three star resort a short drive from Karon Beach. 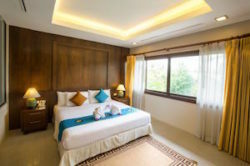 Another three star option just up the hill from Karon Beach, Karon Living Room Hotel has large, comfortable rooms with nice views of the trees and nature in the surrounding area. With amazing views over Karon Beach, this is a nice place to stay! The rooms at Karon Cliff Bungalows are comfortable but getting a little old (and will soon need renovating) but the location is tough to beat and the views of the beach are incredibly beautiful. 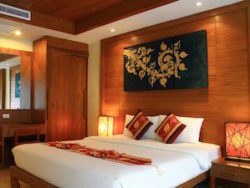 Another mid-priced hotel on Patak Road, Baan Karon Resort is about five minutes away from the beach by scooter. It's also within walking distance, although it's about 10 minutes on foot. One of the best value for money hotels in Karon. Bamboo House is a simple but comfortable two star hotel with pleasant, clean and comfortable rooms that are ideal for staying in without spending a fortune. One of the best serviced apartments in Karon, Sunset Plaza Serviced Apartments has great views of Karon Beach and huge apartments (even the smallest ones are 80 square meters). 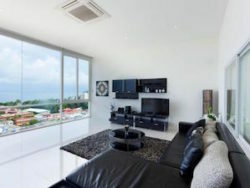 All of the apartments have separate living areas, kitchens and luxuriously decorated bedrooms. Pineapple Guesthouse Pineapple Guesthouse is a cheap, simple and comfortable budget hotel on Patak Road in Karon. A short walk from the beach, this is a good place to stay if you want to be close to the action without spending more than you need to. Another good budget option in Karon, Allstar Guesthouse is just a few minutes away from the beach. The rooms here are simple but more than clean and comfortable enough for a good stay. There are also several restaurants, cafes and bars around the hotel. 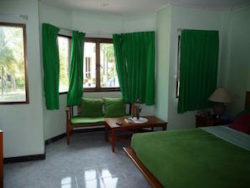 Green Island Guesthouse is a cheap and simple guesthouse on Patak Road, a short five-minute walk away from Karon Beach. While the rooms here aren't anything special, they're very affordable and offer enough comfort for a pleasant stay at a budget price. 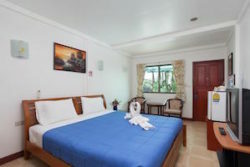 One of the best budget hotels in Karon, Bamboo House has nicely decorated double rooms at very fair prices. A step above most other budget options in the area, albeit at a budget/medium price.